For those of you that have been following my blog for a while you may have noticed that recently each post now concludes with a Flattr button. Following my recent Wikileaks and Flattr design followed by a few discussions with other users on identi.ca, I suddenly became aware that Flattr isn't perhaps as well known as I first thought. Several users asked how the system worked, given that this is very difficult to do in 140 characters or less, I decided to write a blog post about it. 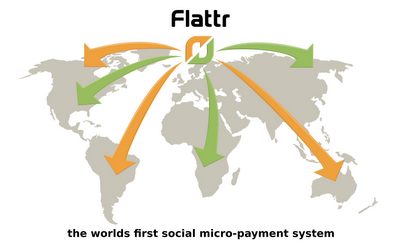 Flattr is a Swedish based micro payments system, which allows users to donate funds to a project or cause of their choice. But is this simply PayPal with another badge and colour scheme? NO. Flattr is done in a way that is probably new to most of us. Once you've signed up you are required to set your monthly amount; this is what you will pay into your account each month. This is done via MoneyBookers or PayPal and can range from Two Euro to one hundred Euro and is refered to as 'Means'. Now you've got the funds into the account you can start donating (flattring). Every time you click then each donation will become less. Your monthly amount (means) is divided by the number of clicks within each month. For example if your means is set to ten Euro and throughout your first month you click on five Flattr buttons, at the end of the month each thing you've flattred will receive two Euro. However, if in the next month you start to Flattr a few more things that you like, say you've clicked on twenty items: in your second month each thing that you Flattr will only receive 50 cents. The best way that I've found to describe Flattr to a newcomer is to think of the month as a child's party, the flattred projects as the children and your means as the cake. The cake doesn't get cut and dished out until everybody has arrived (the month's over), once all the children have arrived then all receive a slice of cake. The more children in attendance, then the smaller each slice will be. If you do not Flattr anything in a particular month, maybe your on an extended holiday or some circumstances arise where Flattr is low on your list of priorities, then Flattr donates your means to a charity of it's choice. A more detailed explanation of the process and the charities involved can be found here. However this is not the only way to donate using Flattr, there is a one off payment option, similar to the PayPal or bank transfer style. This will allow you to donate up to fifty Euro to the cause or project of your choice. But we are still not done; what if your work is outside in the real world and not in the virtual world? No problem, Flattr has that area covered too. The user is given the option to print out a QR Code which can then be scanned using a smartphone, this scan has the same effect as clicking on the green Flattr buttons. Think of the range, potentially limitless. 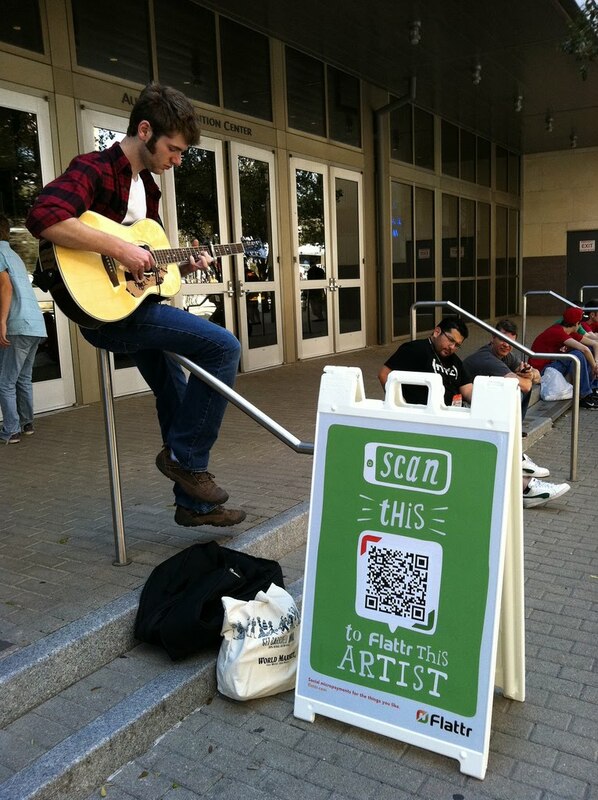 Going along to an art gallery or museum, seeing something you like and click, you've flattred the creator directly. Scanning a name-badge of a person that served you in a cafe or bar, porters, taxi drivers, the list is potentially endless. So why is it not in our day to day lives yet? Well people and companies have to adopt it: it's all very well saying you want to Flattr 'Children in Need', however if they do not have a Flattr account then this is not an option. More users have to embrace the technology if Flattr is going to grow to it's potential. 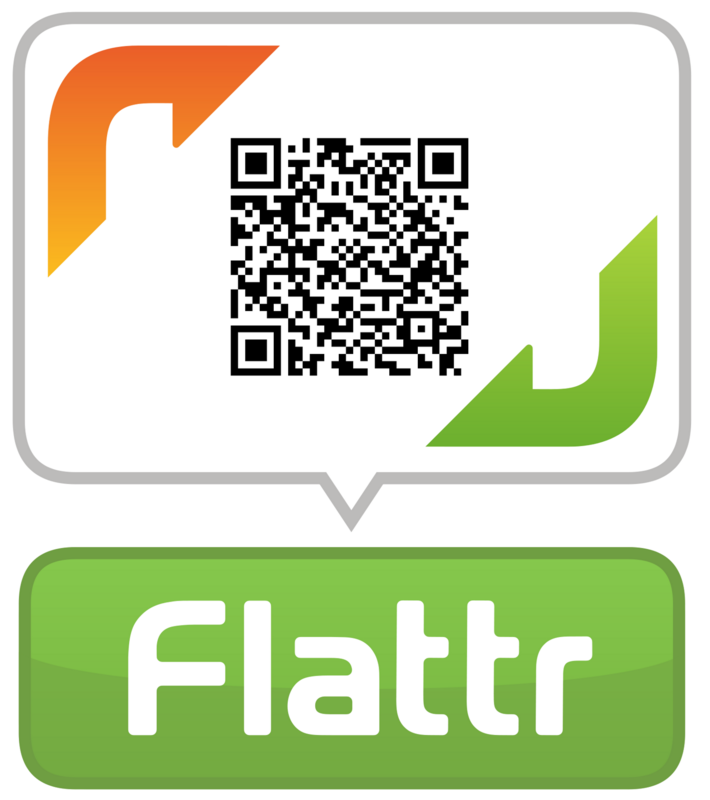 Growth will come with demand, if you like it tell your friends and work colleagues, spread the word about Flattr.